Founded in 1893, four years before the adoption of New York City’s first charter, the Municipal Art Society of New York (MAS) has had a long history of advocating for sound land use and planning policy. As part of our advocacy, MAS has provided input on several City Charter revisions throughout the years. From a historical perspective, we find that many of the issues from previous Charter revision efforts remain relevant today, and are central to the revisions under consideration by this Commission. Since the release of our 2013 Accidental Skyline report, which examined the proliferation of supertall buildings in the city, MAS has been a strong voice in supporting new rules and regulations to protect our public assets such as light, air, and open space, and preserve the character of the city’s neighborhoods from out-of-scale development. As pressure mounts and communities face the prospect of long-term negative impacts of unsound and inequitable land use decisions, the time is ripe for this Charter revision. Based on our reviews of large-scale rezonings and other developments, we find that current public review processes do not facilitate effective community input, and that long-term, community-based planning initiatives meet strong resistance from the City. In 2018, the City is well on its way to setting a record number of approvals for zoning map amendments. By June, the City had already certified or approved 38 amendments, and based on recent trends we expect that they will likely surpass 50 approvals by the end of the year. Most concerning about this record number of approvals is the lack of community engagement in the process. Only four out of this year’s 38 zoning map amendments have gone through an extended public review. These include the City-initiated Inwood and Jerome Avenue neighborhood rezonings, the 80 Flatbush Avenue proposal in Downtown Brooklyn/Boerum Hill, and the Bedford-Union Armory project in Crown Heights. As New York City continues to grow, each neighborhood must accept a fair share of necessary development and understand the role development plays in achieving the fundamental social, physical, and economic needs of the city; and given greater responsibility in land use decision-making, residents can effectively increase the equity with which the city develops. MAS believes that the City needs to give genuine consideration to community-based land use plans including, but not limited to, those created under Section 197-a of the current Charter, rather than focusing primarily on private development application-based decision-making. MAS supports the creation of an Office of Community-Based Planning, with oversight provided by the Public Advocate’s office, and revisions to the Charter that require Community Boards to present district-wide plans on a regular basis; at periods to be determined. Moreover, land use proposals submitted by private applicants should be required to conform to local 197-a plans or district-wide community plans. MAS also supports the development of a citywide planning framework, including a shared set of citywide development priorities, which local 197-a plans and district-wide community plans should both help shape and conform to. The City Charter should institute a pre-ULURP process, which would allow for public input into development plans before projects are officially certified. Through this process, the City would disclose application information and hold public meetings to garner input from communities to ensure that major issues are identified and discussed at the beginning of the planning process. The City Charter should also strengthen the City’s CEQR process. The full disclosure and evaluation of the potential effects of discretionary actions by the City is critical to the land use process. CEQR documents, to the extent practicable, must accurately identify the full extent of potential development that would result from a land use action and effectively evaluate the full array of expected impacts. City Charter revisions also need to strengthen mitigation requirements for adverse impacts identified in the CEQR process by making the Office of Community-Based Planning responsible for conducting environmental review of plans initiated by Community Boards or other local organizations. The City could also require follow-up technical memoranda, where applicable, to resolve issues raised by community boards and Borough President’s offices in their respective project resolutions about findings and conclusions in Environmental Impact Statements (EISs). The City should also establish penalties for misrepresentations and inaccurate information in project applications (including EISs, building permit applications, and documentation submitted to the Board of Standards and Appeals). MAS opposes amending the Charter to allow the City Planning Commission (CPC) to make final determinations on all administrative land-use permits, such as certifications, authorizations, and special permits, as this would diminish the City Council’s role in the CPC Special Permit process. MAS is also strongly opposed to unnecessary changes to landmark designation procedures that involve the CPC. Even more distressing is the idea of reorganizing the Landmark Preservation Commission (LPC) to become a division of the Department of City Planning. MAS believes that the landmark designation process should remain entirely within the scope of an independent LPC. MAS firmly believes that accessible open data is critical to government accountability and policymaking. As MAS has previously advocated, the City must incorporate Zoning Lot Development Agreements (ZLDAs) into the MapPLUTO datasets including specific information on the quantity of development rights transferred, the receiving lot, and the sending lot. 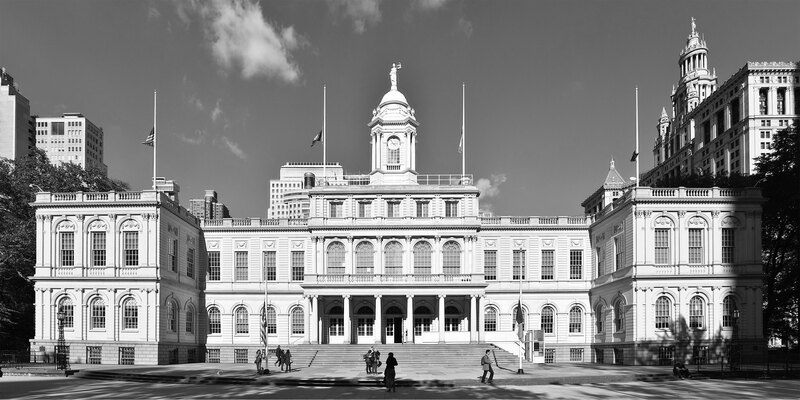 This simple reform would merely make public records easier to access and improve transparency in development potential for parcels across the city. Furthermore, MAS asks that the City collect data on retail vacancies and maintain a publicly available, updated list. The creation of a register of retail vacancies would provide crucial insights for addressing and reducing retail vacancies that plague neighborhoods across the city. Thank you for the opportunity to comment on this critical matter.